These heated fluids are transported via pipes throughout a facility or building and can be used for anything from heating to power generation. 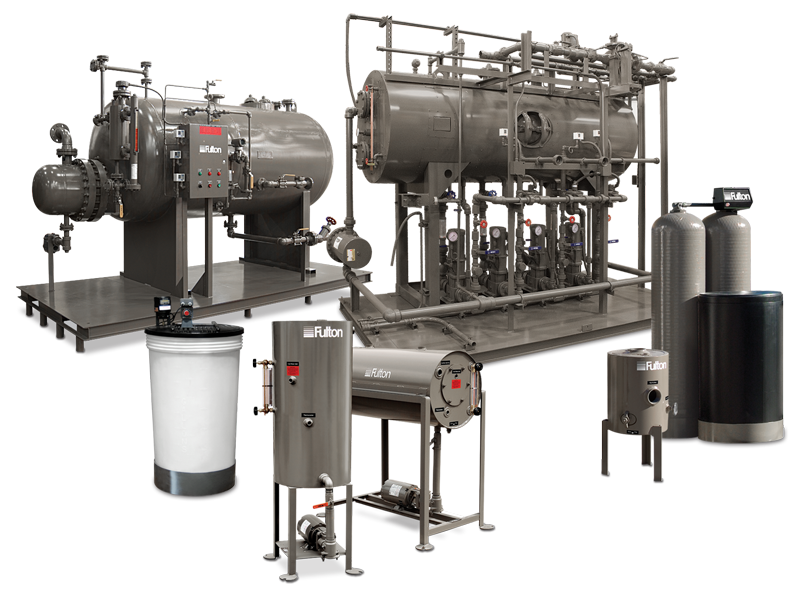 In order to accomplish these processes, boilers use a variety of different parts, both big and small, including valves, level indicators, switches, piping, heating components, pressure vessels, and more. In order to keep a boiler running efficiently, it is important to maintain or replace these components as they begin to function less effectively or stop working altogether. Boiler Parts – Fulton Boiler Works, Inc.
Boilers are very commonly used in industrial applications, including in power plants for generating electricity, heating factories, and treating water, and in many cases these boilers are running for prolonged periods of time in a very demanding environment. This means that many of the boiler parts are put under a great deal of stress. Quality boilers are designed to withstand these kinds of stresses, but over an extended period of time parts are bound to deteriorate and become less effective. Whether it is some wiring that has simply worn out or a valve that is leaking, purchasing and installing replacement components will help bring the boiler back into working order. Along with replacement parts, it is also possible to equip a boiler with additional parts for improved functionality. For example, some industrial applications may require greater control of a boilers performance, so different types of control components and features can also be purchased and installed. Digital and analog pressure and temperature gauges and water level indicators can be installed to help maintenance workers and technicians monitor the boilers status and effectiveness. Industrial boilers are also commonly equipped with a centralized control unit, which monitors and displays all the important information from a boiler or system of boilers. It also serves as a centralized location for adjusting the different components and output of the boiler system. Most boiler manufacturers will supply replacement parts for their own boilers, but other boiler part suppliers and manufacturers provide many different brands and types of parts. This is an important factor to consider when looking for replacement parts or upgrades. If you have a particular brand of boiler, you can purchase replacements or upgrades directly from the manufacturer, but as with most things, it can be more cost-effective to purchase these items from another boiler parts supplier. However, before purchasing a part, it is important to make sure that you are buying a part that fits with your type of boiler. There are many different boiler brands and configurations, and each may require specific parts. Boiler Parts From industrial facilities to homes, boilers are utilized in many different places and in a multitude of different applications. Boilers are used for heating water or other fluids which are in turn used for a variety of other processes.